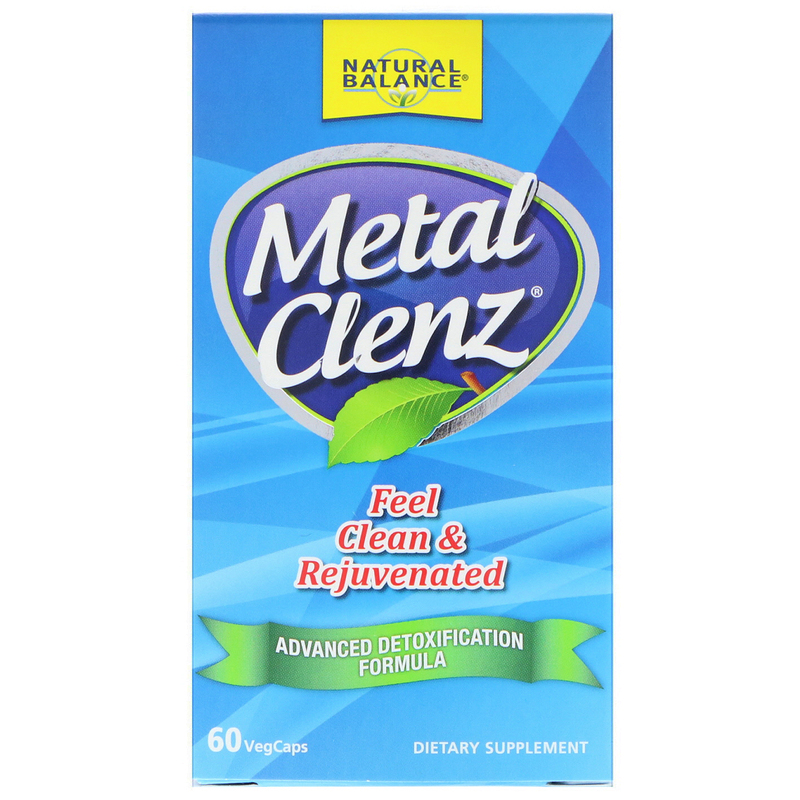 The comprehensive Metal & Toxin Clenz blend is intended to provide nutritive support for the body's normal detoxification process. To help you feel healthy, clean and rejuvenated this unique combination includes chelating agents and antioxidants, plus a special complex for liver support. Fiber Cleansing Power with fiber support from Alginate (from algae), Apple Pectin (fiber), IP-6 (phytate) and Irish Moss. Detoxification & Liver support from Milk Thistle, Turmeric, Methionine, and Chlorella. 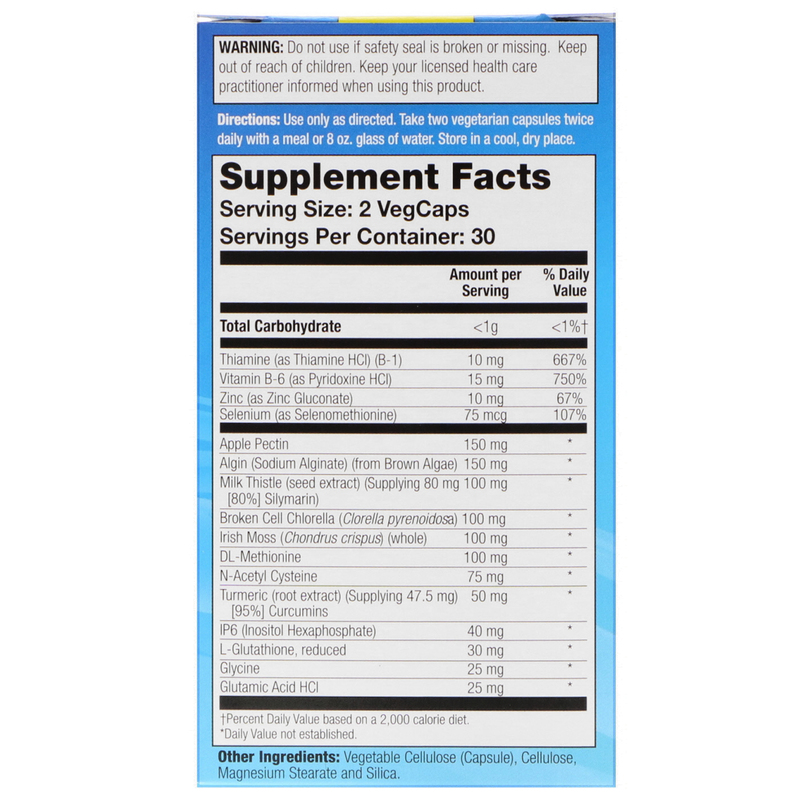 Additional nutritive support with ingredients such as Glutathione, N-Acetyl Cysteine, Glycine, Glutamic Acid, Selenium. Our toxic environment can have an impact on the way you feel, how clearly you think and how energized you feel. Heavy metals and chemical substances are known to negatively affect people's health. Impurities are in the air we breathe, the food we eat, and the water we drink. Metal & Toxin Clenz blend is designed to provide nutrients to help support and assist your body with its natural cleansing process. 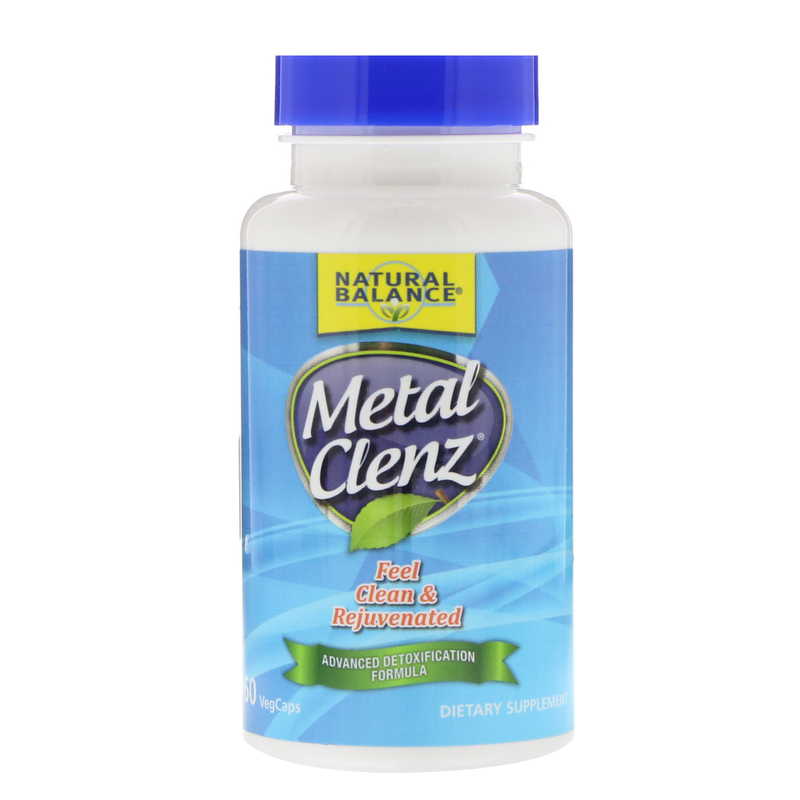 Give your body the extra support it may need with the advanced Metal & Toxin Clenz formula. Use only as directed. Take two vegetarian capsules twice daily with a meal or 8 oz. glass of water. Vegetable cellulose (capsule), cellulose, magnesium stearate and silica.